We expertise in fabricating an exclusive range of antique black iron door handles that is high in performance and low on maintenance. These iron door handles are meticulously designed by out team of dexterous designers and qualified engineers and are offered in customized designs and specifications. We are manufacturing a wide range of Iron Door Handles. 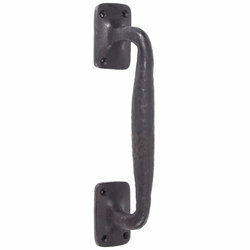 Our Iron Door Handles are available in various sizes and specifications. These Iron Door Handles can be customized as per our customers specifications and availed at industrial leading price. Apart from these we also provide Antique Center Door Knobs, Iron Brackets, Iron Lever Lock Sets, Iron Pull Handles, Iron Door Front, Iron Lever Latch Sets, Iron Hinges, Iron Casement Fasteners, Iron Ring Knockers, Iron Malleable Fittings, Iron Sheet Fittings. We provide our clients with a wide range of UK Iron Door Handle. 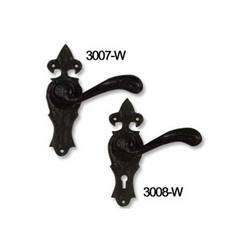 The exquisite craftsmanship of our workers enables us to offer these black iron door handles. Further, our customers can avail all these products at most competitive prices.